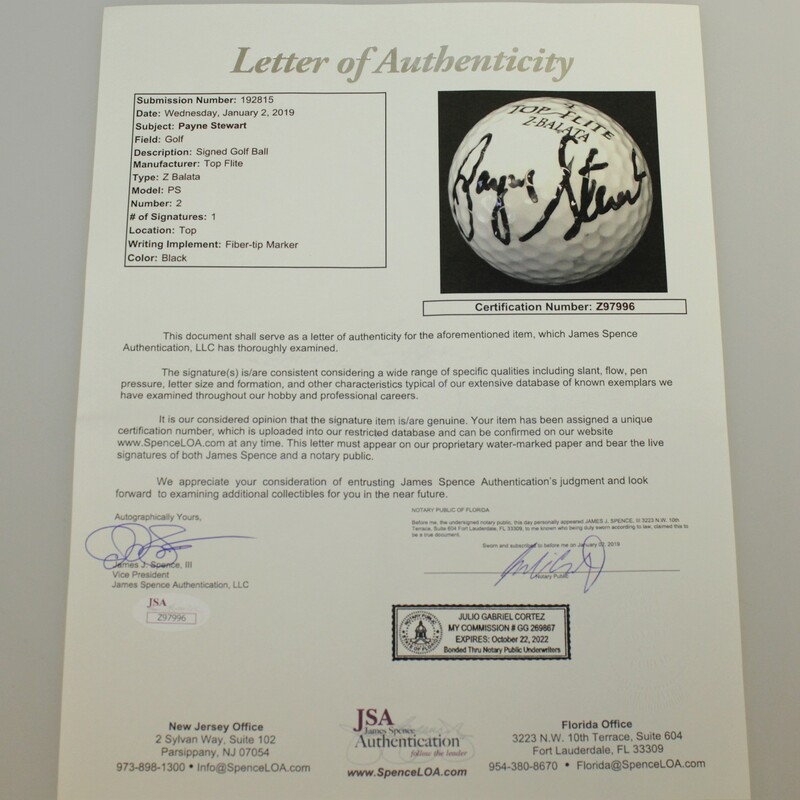 Payne Stewart won eleven PGA Tour events, including three Major championships in his career, the last of which occurred only months before he died in an airplane accident at the age of 42. 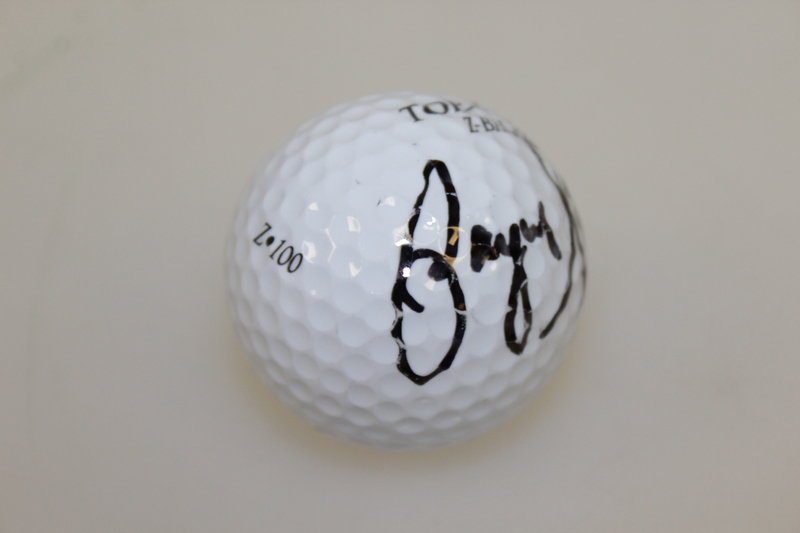 He leaves us here with a signed Top-Flite Balata golf ball. 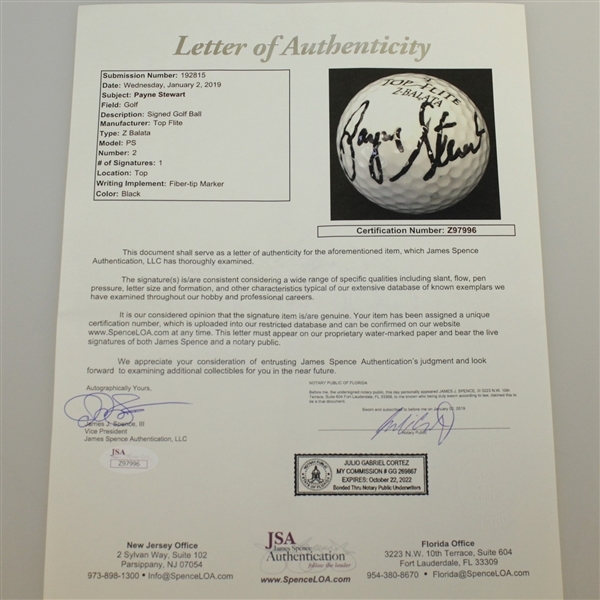 Always popular with fans, especially for his distinctive clothing, it was said that he had the biggest wardrobe of all professional golfers. He was a favorite of photographers because of his flamboyant attire of ivy caps and patterned pants, which were a cross between plus fours and knickerbockers, a throwback to the once-commonplace golf "uniform". 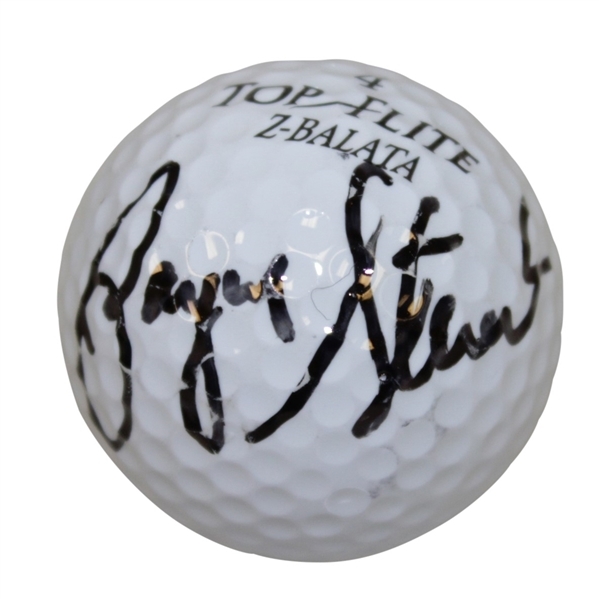 Stewart was also admired for having one of the most gracefully fluid and stylish golf swings of the modern era. 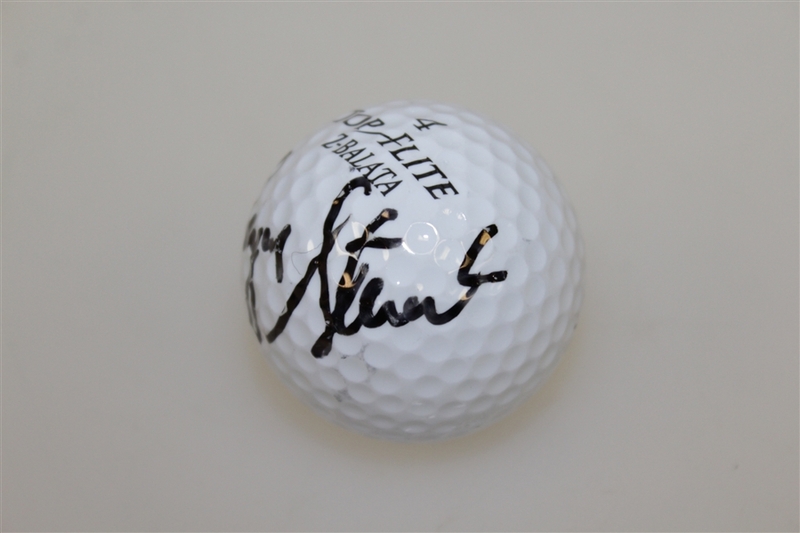 Stewart was a 3 time major winner, two US Open Championships and one PGA Championship in 1989. 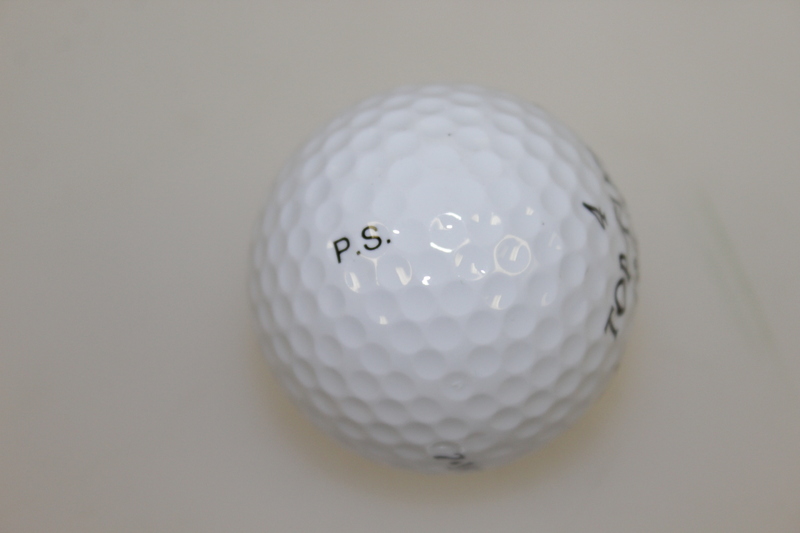 This ball is accompanied by a FULL JSA letter, #Z97996.